My husband jokes that I am a germaphobe. That is probably true. I will admit that I am the person who sprays Lysol on doorknobs and light switches, uses hand sanitizer, and always make sure that everyone washes their hands. When it comes to cooking, I become especially cautious. I know the dangers that can come from either undercooked food, or food that has gotten too warm. 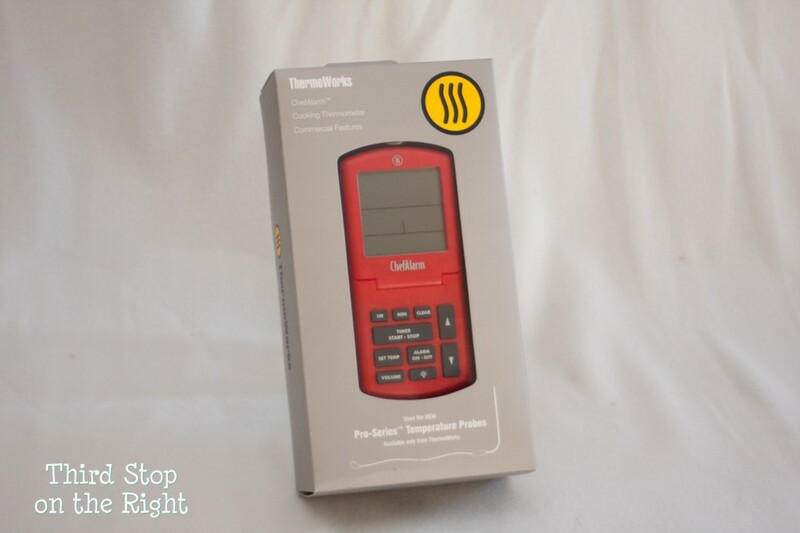 Because I am so cautious, I am so glad that products such as the ThermoWorks ChefAlarm exist. We are planning on hosting Thanksgiving at our house this year, and I know with so many dishes being cooked I will want to make sure that everything is done right. 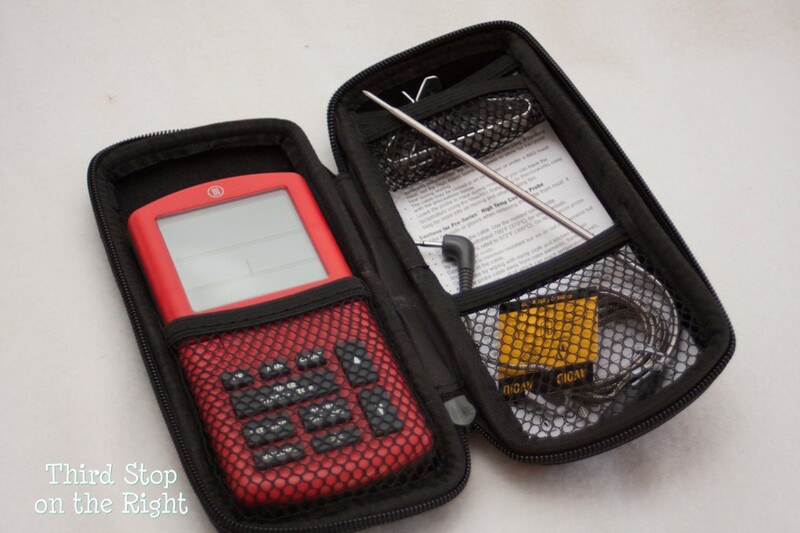 I am not leaving my family’s health to the traditional meat thermometer or even worse, to chance. 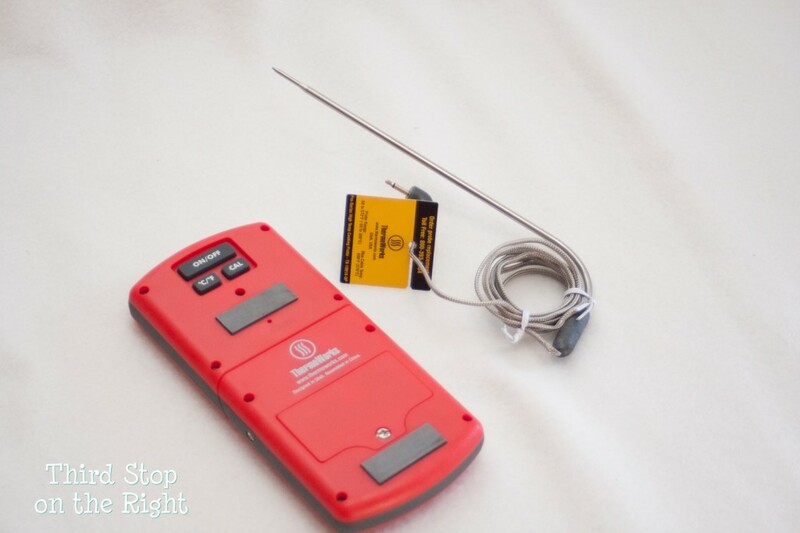 Designed for commercial use, the ChefAlarm has features that aren’t usually found in household food thermometers. A “high alarm” sounds when your food reaches your setting, and a first-of-its-kind “low alarm” is perfect for making yogurt and other cold dishes. 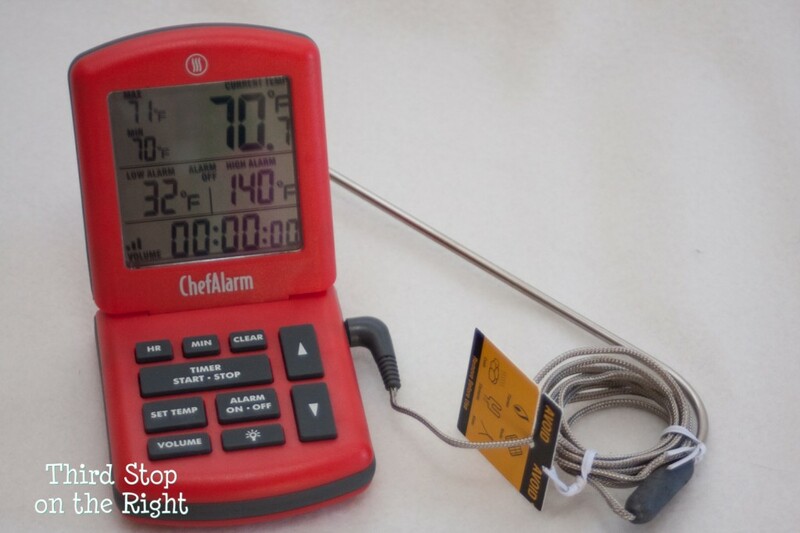 Use both alarms to keep food at an ideal holding temperature. Straight out of the box the ChefAlarm reads within ±2 degrees F so you should never need a calibration adjustment, but if something should happen that you need to recalibrate the CAL feature can be used for fine-tuning your accuracy to better than ±1 degrees F.
I love that the main temperature digits are big and easy to see from a distance, so I can tell at a glance what the food temperature is. It is also backlit so you can see the display in the dark, such as if you are outside grilling or in any sort of dark place. Its nice that you can fold the ChefAlarm flat and use the magnetic back on a metal surface or tilt the display up and use it on a counter. Whenever you are done with the ChefAlarm, all you have to do is stick it to the refrigerator, stove, or dishwasher to store it, or you can put it back into the included case and put it in the drawer. At $59.99 the ThermoWorks ChefAlarm would make a perfect gift for any cook in your family. What is even more fun is that it comes in nine different colors! Most of my small appliances are red so naturally I chose a red ChefAlarm. 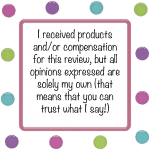 It is available through Amazon.com. Check out other great holiday gift deals on the Third Stop on the Right Holiday Gift Guide.